Toying with an idea of getting a steel door for your garage? You are on the right track as this material carries along a plethora of advantages. Here are the top four strengths that make steel garage doors a great choice for every house. As you would expect, steel comes with an almost unparalleled durability. This especially comes in handy with garage doors as they receive a massive amount of impact each year, from little dents caused by reckless driving to bumps and serious damage caused by storms. Steel garage doors tend to resist forces very well which makes them a perfect pick for those who are looking for that extra durability edge. 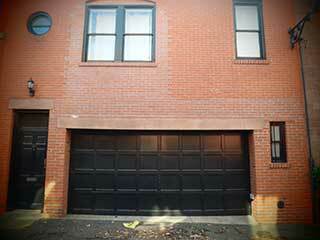 What’s so great about steel garage doors is their versatility when it comes to design options. A myriad of color and style variations are available on the market from reputable brands such as Windsor, Amarr, Raynor, Clopay, etc. This means you can customize your garage door to match the styling of your home’s exterior décor. Some models are also available in different thickness and insulation options, which means even more variables for the super-picky homeowners. Steel is famous for its strength-to-weight ratio and extreme lightness. What this means is that you won’t have to worry about regular maintenance too much. The paint will hold for years and the surface will resist to scratches, dents, and chips with ease. Apart from an occasional clean and polish, your garage door won’t need much attention. Steel is one of those rare materials that really gets more bang for your buck. When it comes to the price-to-quality ratio, I can hardly think of a material that beats steel. Plus, by not requiring frequent maintenance, it will save your money as well as time. Steel truly makes sense in every area of concern you may have when buying an overhead garage door. It is durable, customizable, eco-friendly, affordable, and requires little maintenance. Plus, it offers security for your home and doesn’t come with a hefty installation price tag.